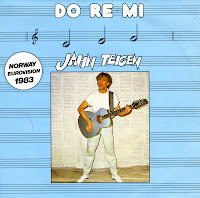 Jahn Teigen is known as a three time representative for Norway at the Eurovision Song Contest, in 1978, 1982 and 1983. For some reason, the adjective 'unsuccessful' always seems to spring to mind, but in fact, his last attempt was quite successful. 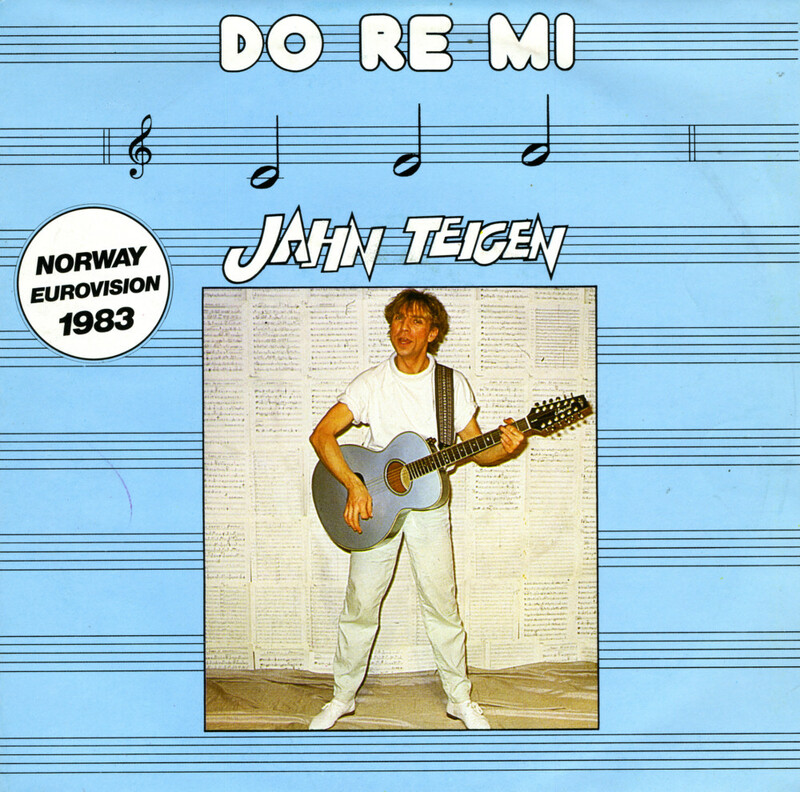 'Do re mi' was written by Teigen with his wife Anita Skorgan and ended up in ninth place at the Contest. Although Teigen appeared in the Eurovision Song Contest three times, he participated in no less than fourteen(!) Norwegian national finals: in 1974, 1975, 1976, 1978, 1980, 1982, 1983, 1988, 1989, 1990, 1993, 1994, 1996 and once again as late as in 2005. In addition to this, Teigen has been the host of Melodi Grand Prix and provided the interval act of the Melodi Grand Prix on a number of occasions. He has also acted as commentator for Norwegian television in 1991 in Rome, together with Jon Andreassen. This is the first Eurovision Song Contest-related single I ever bought. That's quite amazing, because I don't live in Norway and I had been following the Contest for three years already. But this single came cheap and the memory of the song had faded but was still clear enough for me to remember that I actually liked it better than that year's winning song, 'Ein Bisschen Frieden' by Nicole. The single contained the English and Norwegian version of the song 'Adieu'. Jahn Teigen participated three times in the Contest, of which 1982's 'Adieu', together with his wife at the time, Anita Skorgan, was the second. They ended up at twelfth place, which seemed like a great injustice to me at the time. Even now I think it was a great song - but perhaps not as overwhelming as a Bambi-eyed German girl singing about peace.